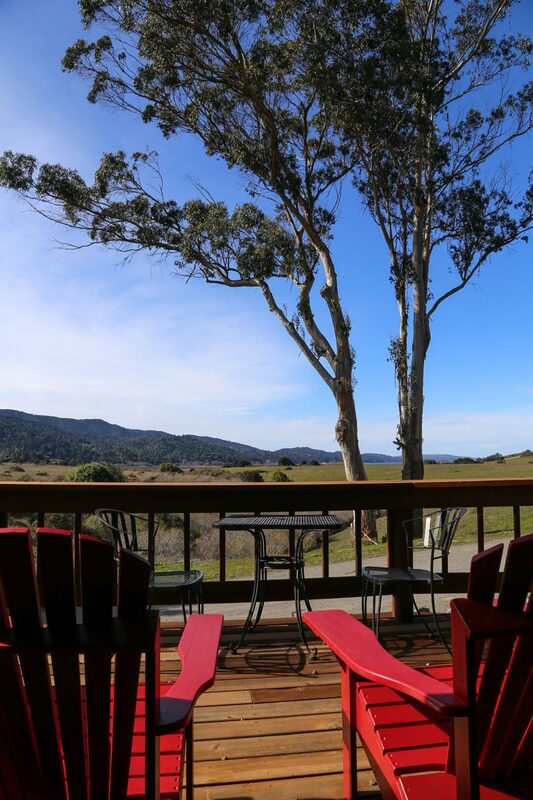 The Bay View is a spacious ground floor room with sweeping, unobstructed views of Inverness Ridge, rolling green grassland and Tomales Bay. There is a seating area with inviting reading chairs and lights, and the dining area faces out to the deck and views beyond. The glass door opens onto the large deck.